The junior bed mattress ELBSTAR is designed for junior beds of intermediate size 90x160cm. The flat mattress height of only 12cm makes sure that the level of failure protection is fully maintained. 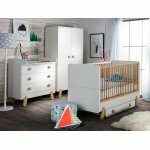 This Junior mattress is suitable for all beds with mattresses that measure, for example, for the junior bed ROOM STAR, which is convertible to a later 90x200cm bed or a bunk bed. Point-elastic quality foam core for a good sleep, Removable and washable cover at 60 degrees. 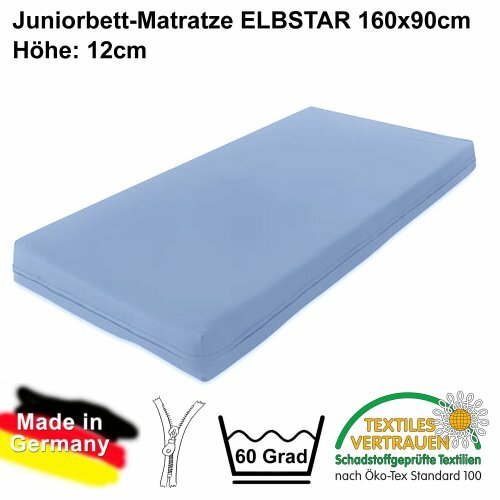 Junior bed mattress ELBSTAR has a blue mattress cover made of jersey fabric which is removable and washable at 60 ° C.
The Junior mattress is therefore also suitable for allergy sufferers. the mattress will be delivered rolled up by courier. 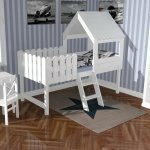 The Junior mattress is Schadstoffgeprüft after OEKO TEX 100 standard.